The Maths Booster Test and Workbook for Year 2 is perfect for boosting the confidence of your child in the weeks and months before SATS. With revision, practice and test sections that focus on the tricky topics, you can be sure that when it comes to the real thing, they'll be ready for lift off! 5. A comprehensive 8-12 week booster course that you can use at home 4. Identify gaps in your child's learning and fill them with practice activities 3. Targeted support to enable children to reach their full potential 2. Help your child become familiar with the test format before they sit it for real 1. Lift off for SATS success! 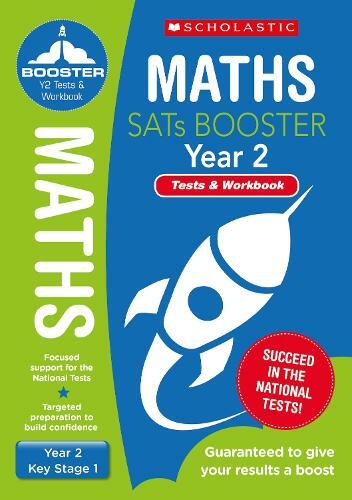 This Maths Booster Test and Workbook contains complete practice tests in the SATs format, as well as a workbook for Year 2 pupils. Items not sold separately.